Hot off the press! The Balearic Statistics Institute have today issued the key Fitur* tourism statistics for Ibiza August 2018 today. They show the big picture for a month many will expect to tell a tale of doom and gloom following a widely perceived bad year for the Balearics. The numbers are down, showing a 3.7% drop overall compared to August 2017. But they would have been a whole lot worse without the British market. In August 2018, the British brought an additional 78 aeroplanes full of tourists compared to 2017. The Germans brought 85 aeroplanes less**. Whilst the overall numbers are down, 3.7% for the Island as a whole, British business bucked the trend with an increase of 9.6%. 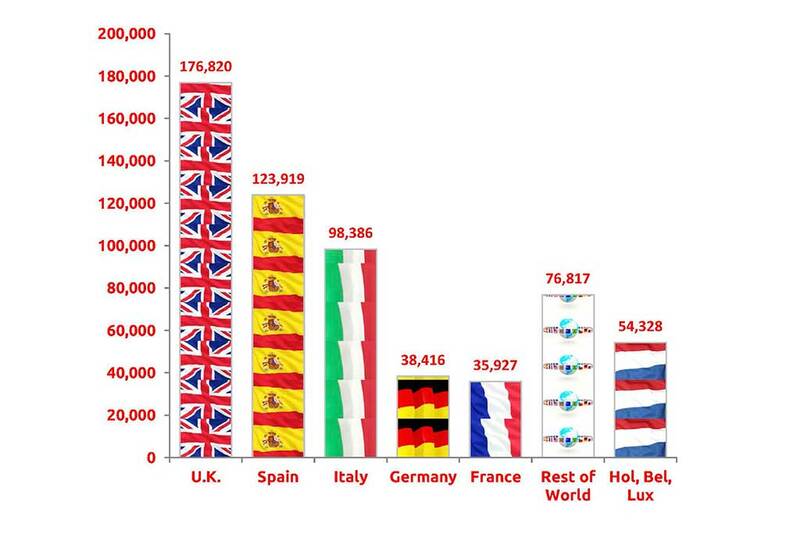 In fact, the British increase alone represents around half of the total German or French visitors. The British numbered 176,000 in August 2018, more than 50,000 higher than the Spanish who dropped back 1.9%. 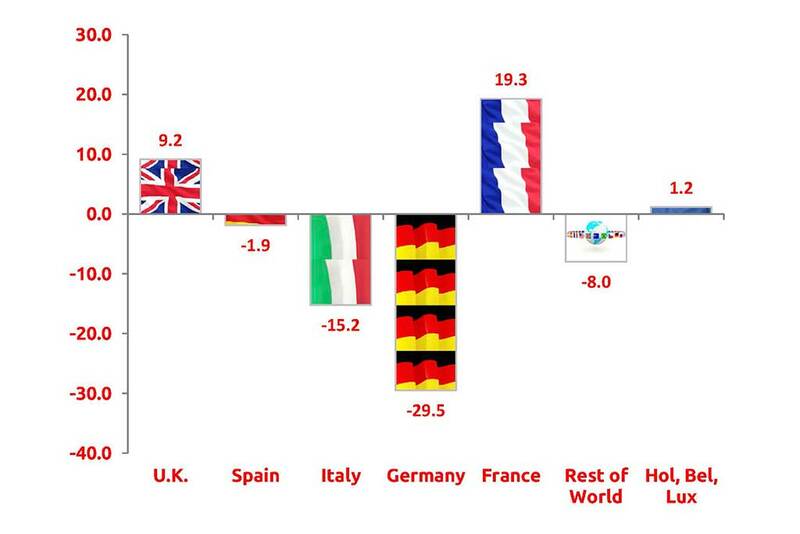 Perhaps the biggest surprise is the 15% drop in the Italian market. Areas of Ibiza consider their August as the Italian takeover month as Italian visitors flock to the island during Italy’s traditional shut down weeks. Ibiza tourist board’s relief at having turned back the alarming slump in German business may have been premature. The Germans dropped by a whopping 29.5%. The French market did go up by 19%, but with numbers so low their increase was as much use as the Maginot line***. In a Freaky Friday British/German Swap? Though the Consell have gone to great lengths to redress the German decline, there are some quarters of Ibiza where the Brits are out of favour. Well here’s a little number spin, just for fun of course. If the British and German markets’ change were swapped, so the Germans had increased by 9.2% and the British had decreased by 29.5%, Ibiza would not be looking at a 3.7% reduction, but a 13.5% drop in its August tourism. That would equate to a loss of 62,000 tourists, or 329 aeroplanes, numbers that would certainly have alarm bells ringing. *The Fitur statistics are key metrics used by the Tourism industry. Their main failing is in counting the number of tourists, not the amount of stay or spend. **Based on Boeing 737-800s with 189 seat capacity, the standard on Ryanair and many other short haul airlines. ***Not the best analogy, but there is an editorial rule that says you can never write an article referring to the British, Germans and French without referencing the war. Probably.